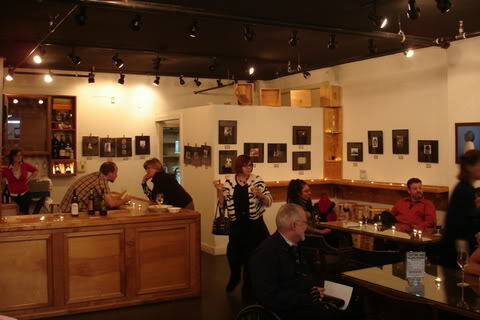 Enjoy Wine and Art at Seaboard Wine Warehouse in Downtown Raleigh! Recently I took an out of town guest to downtown Raleigh last night to check out some art as part of the local “First Friday” celebration. Usually we head to Artspace but decided instead to check out the artwork being featured at the Seaboard Wine Warehouse located in the Seaboard Station next to Logan’s Nursery. 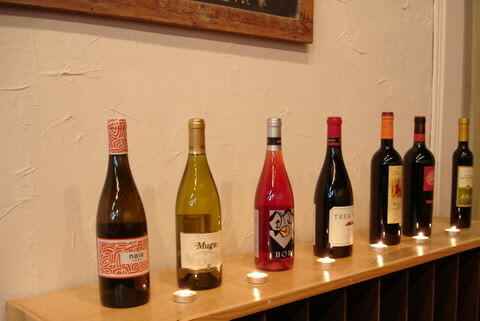 I love this wine store because they have agreat selection of wines, friendly staff, and they offer free wine tastings on Saturdays from 12-4 and also sell wine “flights” on Thursday and Friday evenings. They now even have some new tables set up in the tasting bar area where you can relax and drink a bottle of your favorite vino with friends.